Train: recently, Trenitalia and Italo allow to buy a ticket for Matera even through High-speed rail network. Once you reach Salerno, you have to get on a bus that will take you directly to Matera. If you find the adriatic route more comfortable, you can first reach Bari Central Station. Just outside the Trenitalia station, you’ll find the FAL (Ferrovie Appulo-Lucane) station. Several daily trains will take you to Matera in 1h40′ (it’s a pretty slow rail network!). Plane: the Bari Palese International Airport is your best choice if you’re coming from Europe. 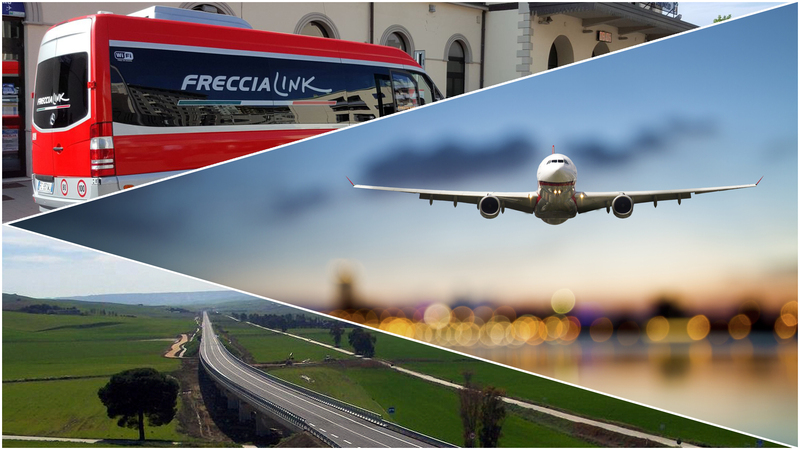 Daily flights leave from and for Rome, Milan and several other cities. It’s just 64km away from Matera. You can get here by bus or through private services offered by several companies based in Matera. Car: if you’d rather come by car or bike, you have different choices. Coming from East, you should get to Bari, take the SS 96 (you’re going to pass through some road construction sites) up to Altamura. From here, take the SS 99. TIP: if you’re standing in Alberobello or any place around it, venture through the backroads (SP 53 or SP 239). Crossing Valle d’Itria is a very nice experience. But slow down and mind the cyclists! Coming from West, you can take the A 3, take the Sicignano exit, then follow the E847 (several road construction sites there) to Ferrandina. You’ll have to follow the SS 7 to finally reach Matera. As an alternative, from Naples you can also choose the E842 Napoli-Canosa, take the Candela exit and, from here, the SS 655 to Matera. This route can be really nice. In Spring, the abandoned farm houses in the Basentello valley lie drowned in a sea of yellow flowers. Yet, beyond Lavello you won’t find people nor gas stations, so refuel before! Finally, coming from South you have two choices. Following the A 3 Highway north, take the Atena Lucana exit, reach Brienza, take the SS 95 to Potenza and then contiue to Matera. A less panoramic but faster alternative is to exit at Tarsia Nord, while still in Calabria. Then, go East to Sibari and take the SS 106 “Ionica” up to Metaponto, where you’ll take the SP 3 to Matera.